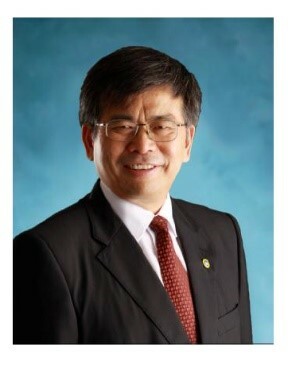 Prof. Dr. Do Nang Vinh is the Chairman of Scientific Council, Institute of Agricultural Genetics (AGI). 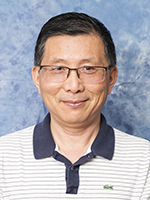 He is also the Co- Director of International Joint Laboratory "Rice Functionnal Genomics and Plant Biotechnology", AGI. He is the Representative of Vietnam in ICGEB (International Center for Genetic Engineering and Biotechnology). His research interests include Genetic Engineering and Biotechnology. 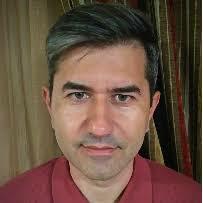 Professor Mohammad Kamil: Ph.D.; D.Sc. 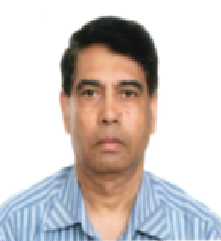 Chartered Chemist (London); Fellow of Royal Society of Chemistry London, is Head TCAM Research, Zayed Complex for Herbal Research & Trad.Medicine, DHL&ME- DOH, Abu Dhabi, UAE .A recipient of Common Wealth Award-London; Convention Award of Chemical Society-India; Association of Common Wealth Universities -London; and Global award on Unani Medicine and various other prestigious honors & awards. 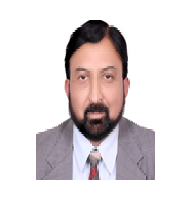 Worked as in charge of Drug lab.MoH India, Professor at Jamia Hamdard University,. More than 350 papers and abstracts in reputed journals and international conferences are at his credit; chaired a no. of International Scientific sessions and presented invited talks as plenary and invited speaker at various International conferences / symposia. Associated with publication of many books; Author of a book besides five/six chapters in different books; Research work cited widely in books e.g. Advance in research, Chapman and Hall, London, New York;Melbourne; Studium Press,USA,UNIDO-Italy. Dr. Alexander Ivlev received his PhD (1968) at Mendeleev Chemical Technology Institute (Russia) for “Thermodynamics of Isotope Exchange of Elements with Middle and Heavy Masses” studies. After receiving PhD he worked in All-Union Oil Research Institute as a senior scientific researcher. Next PhD (1986) he received at Institute of Chemical Physics of Russian Academy of Sciences for “The Regularities of Carbon Isotope Fractionation in Biological Systems” studies. In 2005 he was awarded by Medal of Russian Academy of Natural Sciences “To Author of Scientific Discovery” for establishing link between carbon isotope distribution in metabolites and temporal organization of metabolic processes. Keeping on his work in Oil Research Institute in 1994 he was invited to lecture in Russian State Agrarian University. In the University he went on studying photosynthesis by means of isotopic technique. Oscillatory character of photosynthesis was his finding. In 1995 he received Professor’s degree. Dr. Alexander Ivlev is an author of 5 scientific monographs and more than 200 publications. His present interests: chemical & biological evolution, interaction of photosynthesis and Earth’s crust processes. One of his recent works “Photosynthesis in Global Cycle of Biosphere Carbon” in monograph “Applied Photosynthesis. New Progress” (2016). Yaron Sitrit is an Associate Professor in the Jacob Blaustein Institutes for Desert Research.It is a part of Ben-Gurion University of the Negev. She is an Associate Professor and is a Scientist Rank 'B' at the Jacob Blaustein Institutes for Desert Research. Her recent research work includes studying mechanisms of plants adaptation to desert conditions employing modern tools of physiology, molecular biology, and metabolic engineering and on studies on truffles biology, genomics and development of truffles as new crops. His research focus on desert truffles including Terfezia boudieri that forms mycorrhizal association with its host plant Helianthemum sessiliflorum. They study the fungus at several levels i.e. physiology, ecology and molecular biology. They participate in a project to sequence genomes of fungi including our desert truffles, in the frame of The European Community Sequencing Program.